Koehler Books offers four imprints for writers to consider, as well as an array of programs to serve our authors through creative development, coaching and marketing. Köehler Books welcomes all kinds of stories and authors, and combines the award-winning creativity and flexibility of a small publishing house with marketing muscle and distribution power. This is the hub of your publishing activities, where you can find information and resources on all stages of publishing, as well as coaching to create a comprehensive marketing program and more. Köehler Books is an experienced publisher who believes in authors. Our team of dedicated professionals promises you a holistic publishing experience where you'll receive our full attention, collaboration and coaching every step of the way. We also offer you tremendous value, worldwide distribution channels and superior marketing guidance that will keep you returning, book after book. Prime Minister Winston Churchill crossed the Rhine River on March 25th, 1945. His presence was calculated to emphasize the British role in the defeat of the Germans and to divert attention away from Patton and the Americans who had crossed the Rhine at Remagen two weeks earlier. Supreme Allied Commander Dwight Eisenhower had warned his commanders that Churchill would seek to steal the limelight. Eisenhower ordered his commanders to refuse any requests to cross the Rhine; “The answer must be NO!” But when Eisenhower and Bradley left, the Prime Minister seized his chance. This photograph caught the moment and was printed on the front page of newspapers around the world. Once again, the wily Prime Minister had captured the world’s attention at the expense of the Americans. The joint American, Canadian, and British operation appeared to be primarily a triumph of British arms. Eisenhower, Bradley, and Patton were furious. Eisenhower could do nothing about the Prime Minister, but he never forgave the American generals involved. And General Eisenhower had other things on his mind. It took ten years and an act of Congress for General William Simpson to receive the fourth star due him as Commanding General of the US Ninth Army. Major General John B. Anderson still waits his third star as Commanding General US XVI Corps. 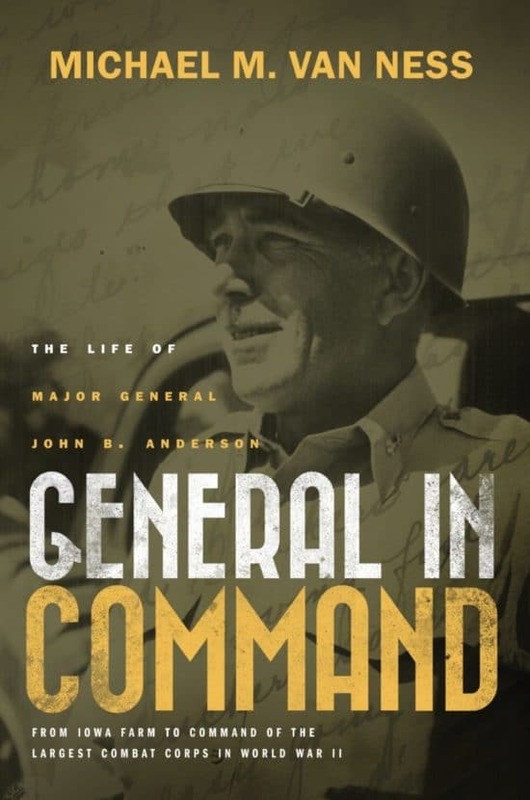 In the meantime, General in Command: The Life of Major General John B. Anderson is his triumphant story from the Iowa cornfields to command of the largest combat corps in Europe in the Second World War. 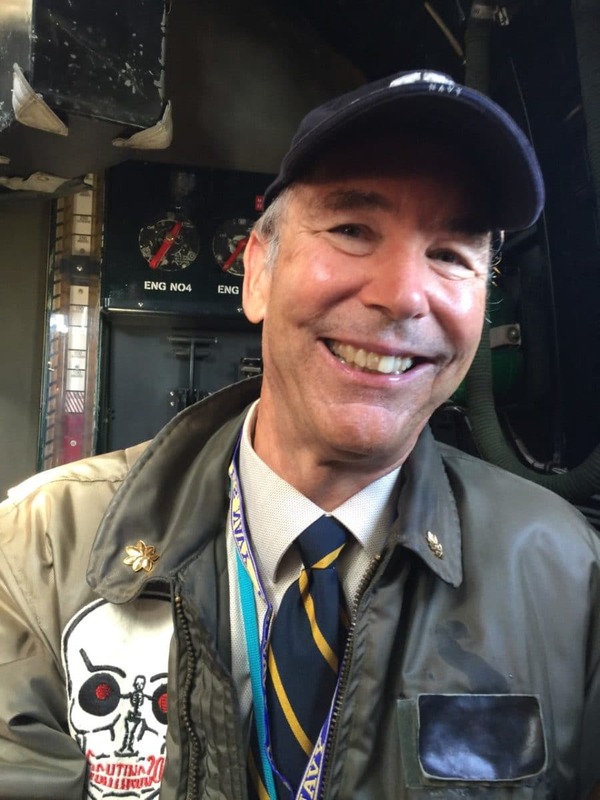 Michael M. Van Ness was born into a military family. Raised in Washington DC and educated at the Landon School for Boys, Yale College, and the University of Virginia School of Medicine, he joined the Navy, served aboard USS Sylvania out of Norfolk, and was on staff at Bethesda Naval Hospital for eight years before founding a successful gastroenterology practice in Canton, Ohio. He has co-authored two medical texts and many medical articles. He always knew his grandfather's story but never its true importance. Interviews with his grandfather's hometown newspaper, the Parkersburg Iowa Eclipse News-Review, and his own Canton Repository helped clarify its significance. Major General Anderson is honored periodically during ceremonies by the people of Roermond, Netherlands, a city liberated by his troops on March 1st, 1945. His uniforms are currently on display in the Ohio Military Museum at the Military Aviation Museum in Green, Ohio. Koehler Books is a full-service publisher with two models to fit the author’s needs. We provide award-winning creative development, worldwide distribution through Ingram, superior marketing guidance, as well as a holistic, life-giving, and collaborative publishing experience that makes our authors smarter, and our books works of art. © 2016 Koehler Books. All Rights Reserved. Designed by Red Chalk Studios and programmed by Dalitopia Media. Join the Köehler Books Facebook Forum! This is an author’s forum organized by Betsy Ashton, a KB author and president of the Virginia Writers Club. The Forum currently has over ninety authors trading tips, sharing marketing secrets and offering advice and encouragement. They also sometimes read each other’s work and provide endorsement quotes for each other, and that is a very big deal. This forum has proven quite helpful to many of our authors. It is ONLY for Köehler Books authors, by invitation only. If you are a Köehler Books author and are interested in joining this forum, please contact the publisher. Your privacy is important to us and we will not trade, share, or sell your information to any other company. Pocket Guide to Publishing: 100 Things Authors Should Know. What kind of author are you? I wish to receive email newsletters from Koehler Books. Your privacy is important to us and we will not trade, share, or sell your information to any other company. We may occasionally send you periodic emails, including special announcements and updates. Please note that we only accept children's books with illustrations already created. Does your children's book include illustrations?